Electron Spin Resonance in Food Science covers, in detail, the ESR identification of the irradiation history of food products and beverages to investigate changes that occur during storage, with an aim of improving hygienic quality and extending shelf-life with minimal tempering in nutritional profile. 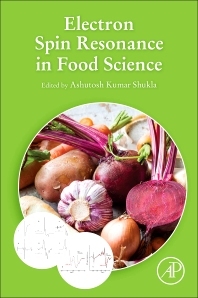 The book also includes ESR studies on the interaction of food items and packaging materials, along with a section on new approaches in ESR identification of irradiated foods that is followed by a chapter on international legislation relevant to irradiated food. A section on ESR applications in characterizing ROS/antioxidants in food items and lipid oxidation, including spin labeling, spin trapping and imaging applications is also covered, as are ESR applications in nutrition and pharmaceutics.